A short walk from a friend's home is one of Muscat's iconic structure. It was such a pleasure to greet the morning sun and cap off the evening with an awesome view of Sultan Qaboos Grand Mosque. Each day, during our 3-day vacation in Muscat, the Grand Mosque left me tongue tied. We always had to do a quick stop outside the gardens and stare at the magnificent structure in all astonishment. Sultan Qaboos Grand Mosque is the largest mosque in Oman. The contemporary Islamic architecture is clad in marble. The main prayer hall is known to have the second largest single piece hand-woven carpet in the world, and above it, in the center of the main dome is a huge chandelier made of Swarovski crystals. On our last day in Muscat, we couldn't just settle with another quick stop, so we went to see Sultan Qaboos Grand Mosque's breathtaking interior. The mosque is only open to non-Muslim visitors from Saturday to Thursday at 8am to 11am. Decent clothes must be worn, hence I donned an ankle length skirt, a cardigan and head scarf. Ladies in long skirts with slit and men in shorts are not allowed to go in. Unlike the Grand Mosque in Abu Dhabi, abayas are not freely provided and rent costs 2.5 OMR. 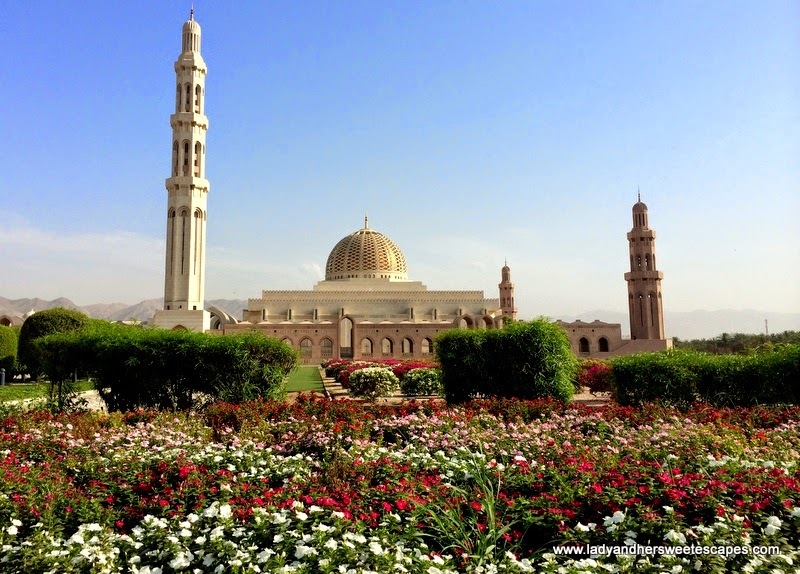 We explored Sultan Qaboos Grand Mosque's splendid courtyard and greatly adored the details; from the rich tile patterns to the well-manicured lawns. The Hajar Mountains served as a backdrop to the tall marble arches. The huge wooden doors leading to the prayer halls are exquisitely hand carved. Every spot is breathtakingly rich! It was a hot morning, so we took refuge from the scorching sun in the covered corridors that eventually led us to a small prayer hall adorned with impressive stained glass windows and wooden ceiling, and an ablution facility decorated with traditional Arabian lamps. We continued our unhurried stroll until we reached the far end and had more stunning views of the tall minarets. Before we ended our Sultan Qaboos Grand Mosque visit, we proceeded to the main prayer hall to see the mosque's main features. The large chandelier caught me off guard. I never expected it to be so astounding! It is gracefully hanging in the hall's highest dome. I was so focused on it that I almost forgot I was stepping on the second largest single piece carpet in the world! The Swarovski-clad chandelier had me looking up to its radiance the moment I went in until the minute I stepped out of the carved wood door. Facebook, Google+, Twitter and Instagram! Hi can you help me with the dress code for ladies?Is it mandatory to wear abaya?We are planning to visit in december. WOW! 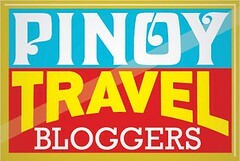 It was really a wonderful blog. Thanks for the provided information.